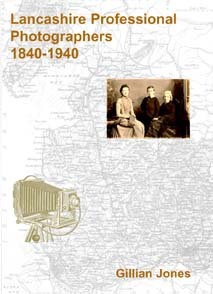 This book presents a directory of professional photographers and studios in Lancashire during the period 1840-1940 with their addresses and dates of working. It includes the major cities of Manchester and Liverpool and towns such as Blackpool, Preston, Oldham, Warrington, Wigan, Barrow-in-Furness, Southport, Blackburn, Eccles, and Bury. The directory has been compiled from a close examination of over 500 original trade directories and early newspaper as well as examining collections of Lancashire photographs. The main directory is prefaced by a guide to dating photographs based on photographic process, mounts, studio backgrounds and fashion. An essay describes the history and growth of professional photography in Lancashire from 1840. Gillian Jones is a teacher of fashion and a local historian with a particular interest in early photography.